Mystery Tombstone, Glenwood Cemetery, Houston, Texas. "...At age 17, young James enlisted in 1846 in Capt. 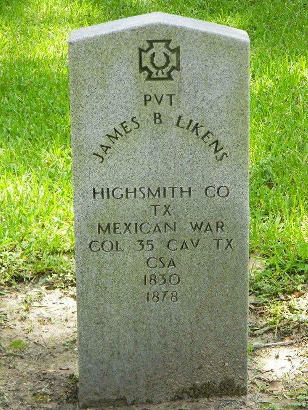 Samuel Highsmith�s Co. K, of Col. W. R. Young�s 3rd Texas Regiment during the Mexican War..."